Occasionally, we go over a circumstance where we need to exchange or transfer documents and files from Android to PC or PC to Android. In such circumstances, we generally want to transfer the photos, videos or songs to our computer in order to edit or playing them But every time you can’t carry the USB data cable with you to transfer the files and folders. Fortunately, there are plenty of Android apps those allow you to send or transfer the files without USB cable instead of that they use the WiFi or inbuilt hotspot connection in order to exchange documents from Android to Windows PC, Linux or MacOS. So, let’s begin the Wireless Transfer of files in Android without USB cable via WiFi. Windows or Mac. With AirDroid, you likewise gain admittance to your telephone’s warnings on your Computer. remotely on your PC. It won’t be right to state that it likewise works like an Android Emulator. 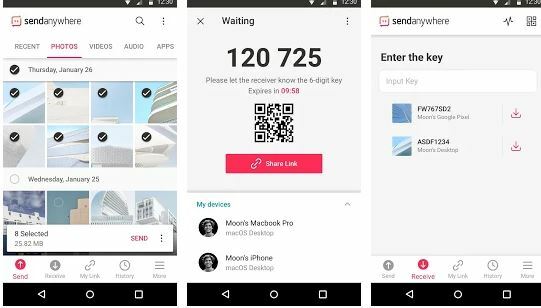 If you planning to use this best Android file transfer and phone management app then see– Our Airdroid Installation and usage guide. Pushbullet gives a consistent affair between your Android Smartphone/Tablet and your Computer. You have to download the application on your Android Smartphone and your Windows PC and arrange it. Once finished with the setup you are ready. 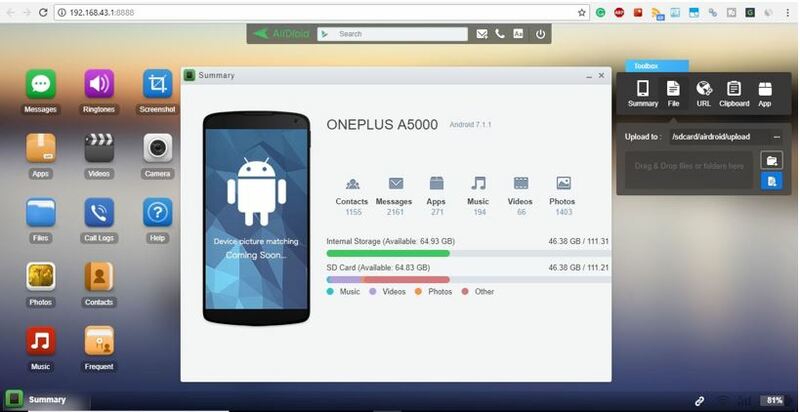 You can exchange documents remotely from your Android to Computer and back. 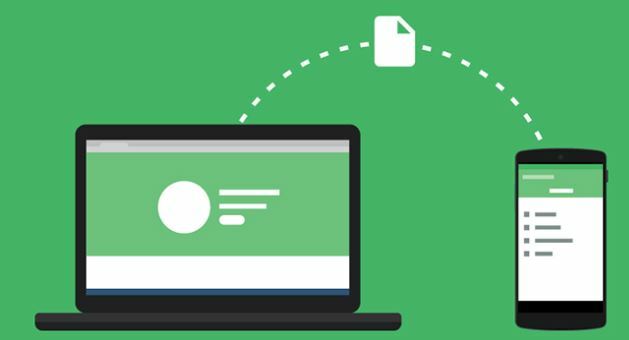 Document exchange is made simple with this application yet Pushbullet isn’t simply constrained to record exchange. Whenever associated, you can get and see warnings of your telephone on your PC. Assume you are chipping away at your PC and a companion of yours messaged you, you’ll be advised about that message on your PC as well. Not only the warning, you can likewise send the answer from your PC without touching your telephone. Pushbullet works with real informing applications like WhatsApp, Facebook Messenger, and Kik Messenger. exchange records forward and backward through Wi-Fi Direct. The application is free and comes with no record exchanging limit. The UI of the application for both, versatile and work area form, is essentially the same and is straightforward. To interface your Android gadget and your PC, all you must do is select whether you need to send or get a record on any of the gadgets. An ‘Information Key’ will then be created which can be utilized to match the gadgets. Xender is being utilized generally to transfer applications and documents from an Android to another Android gadget. Also, it brings about the ideal result, no uncertainty. Be that as it may, through Xender, you can much exchange documents to your PC. All you must do is visit web.xender.com on your PC and sweep the QR code on the site utilizing the application on your telephone. Presently both of your gadgets are associated. It’s that basic. Xender is among the speediest with regards to exchanging records starting with one gadget then onto the next. The in addition to the purpose of utilizing Xender to exchange records is that you don’t require to introduce any application on your PC to take care of business. The document exchange occurs through the web. used to exchange documents Android to PC and PC to Android. Be that as it may, you need a SHAREit application introduced on your PC. Not at all like Xender, it doesn’t bolster record exchange through the web. SHAREit utilizes Wi-Fi Direct to exchange records between gadgets which is considered as the quickest technique to exchange documents starting with one gadget then onto the next. Abhishek Vashishtha is the ultimate writer and always open for almost any kind of writing as his passion and profession are same.